Steven Ramey’s recent post very nicely pointed out that there is, perhaps, no such thing as an apolitical use of the term “religion.” As I’ve mentioned before on this blog, I’m a fan of Bruce Lincoln’s definition of religion, which gets at the same idea. To paraphrase from his book Holy Terrors: Thinking About Religion After September 11th, Lincoln defines religion as a social system rooted in a discourse that claims to be beyond human critique because it comes from a transcendent source; the notion that a concept, event, or authority originates from outside of culture is precisely what prevents it from being questioned. [i] Importantly, whether or not this transcendent reality exists is not Lincoln’s concern here as much as it is the fact that such a discursive tool is the ultimate power card for those who find the claims persuasive. Consider, for instance, the controversial issue of childhood vaccines. 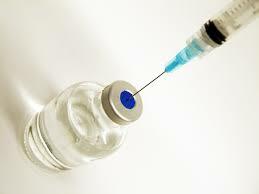 Despite the fact that vaccines have prevented and even eradicated a host of deadly illnesses, there is still concern among certain groups that vaccines may not be an appropriate response to disease. The most well-publicized reasons for rejecting vaccines, up until recently, have been religious (faith-healing rationales are common here), but for the past few decades, a growing community has begun to question the health benefits of vaccines apart from religious explanations, tracing their use to a host of debilitating childhood ailments (and even death). While the former group often uses a logic rooted in the sort of transcendent reality that Lincoln describes (such as the will of a god), the latter’s authority source is often medical studies and anecdotal data. There are loads of things to unpack here for the scholar of identity and classification. But perhaps one of the more interesting things is this: a person with scientific evidence on the possible harms of certain vaccinations will be taken less seriously by the law in certain states than a person whose otherwise non-scientific religious beliefs dictate the same action. In other words, in those states where philosophical exemptions are not granted, “God told me not to do it” wins out over concrete, scientific data. Now, whether or not one accepts the validity of these arguments, they all point to a common theme: as a form of discourse, religion often operates as a strategy that permits a rather explicit form of privilege. If we accept Lincoln’s argument that religious systems are characterized by a certain sort of immunity that shelters them from critique, then the above scenario is no surprise. Yet it is important to remember that the privilege is not absolute, for not everything uttered in the name of religion is adopted by a culture, of course. Where the boundary lines of “proper religion” are drawn within any culture reveals the fundamental relationship between religion and a culture’s power dynamics, demonstrating how religion is a reflection of those dynamics rather than a phenomenon only peripherally affected by them. As evidence of these dynamics, consider also the recent case of a Philadelphia faith-healing couple facing possible jail time in the death of their son, who was the second child in the family to die because he was denied medical care. [iii] Rather than being able to exercise their claim to full religious liberty (which is the way that many anti-immunization proponents might describe their behaviors), this couple has been clearly cast by the courts (and culture) as an example of religion gone wrong. But lest we think that it’s clear that death or physical harm is the dividing line between good and bad religion, what would we make of the child whose parents “sincerely” believe that a god has led them to find a particular physician, under whose care the child receives the mandated vaccination schedule and subsequently develops a seriously debilitating condition, or even dies? Do we then jail those parents for a religious claim that results in a child’s death? What all of this means is that scholars must always consider whose interests are preserved when the name of religion is invoked, and for what ends. Claims to transcendence are believable and culturally persuasive not simply because they’re put out there, but because they so closely align with the culture’s power structures that they’re naturalized as the “right” kind of religion. [i] Bruce Lincoln, Holy Terrors: Thinking About Religion After September 11 (Chicago: University of Chicago Press, 2003), 5-7, 16. [ii] See the NCSL’s policy page at http://www.ncsl.org/issues-research/health/school-immunization-exemption-state-laws.aspx. [iii] Korva Coleman, “Second Child of Philadelphia Faith-Healing Couple Dies,” NPR, http://www.npr.org/blogs/thetwo-way/2013/04/23/178593383/religious-parents-lose-second-child-after-refusing-medical-care, April 23, 2013. This was the topic of a recent broadcast I heard–advocating toughening what gets to count as “religion” in cases of vaccines exemptions. Previous PostPrevious Tilting at Windmills?